A Probate Court Lawyer is an attorney who specializes in the disposition of an individual's through probate; the formal distribution of a person's possessions property. 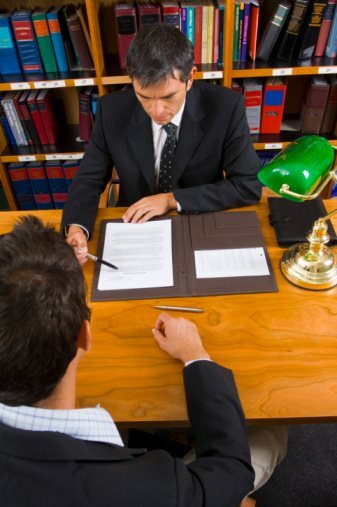 A Probate Court Lawyer can be beneficial in drafting of wills, drafting documents concerning power of attorney and handling other matters at the death of a testator. At the death of a testator the Probate Court Lawyer gather all the known assets of the testator, both those designated in testamentary documents and those that consist of intestate property, and distribute them appropriately. A Probate Court Lawyer will pay off the testator's taxes and debts and distribute the remaining assets to the designated recipients of the testamentary documents or through the states intestacy laws if there is no applicable document. A Probate Court Lawyer is also essential for dealing with estate tax purposes. Currently, if an individual has more than $5 million in assets at the time of his or her death the individual will be taxed at 35%. The Probate Court Lawyer is important for determining the correct allocation of these assets to greater diminish tax liabilities. Probate Lawyer Fees can be expensive. The average range of Probate Lawyer Fees is between 3% and 7% with Alaska having the highest at 11%. Probate Lawyer Fees are designated by the state. In addition to the costs for representation fees can also include appraisal costs, fees for the personal representative of the estate, court costs and surety bonds. Probate Lawyer Fees will also vary depending on the form in which the testamentary documents are presented to the Probate Lawyer. The more time that is needed to gather information on assets the larger the Probate Lawyer Fee will be. Likewise, the larger, and more diverse the estate the larger the Probate Lawyer Fee will be. If a will is contested then the Probate Attorney Fees can be increased exponentially. Probate Lawyer Fees can also be accrued on an hourly basis which includes time photocopying, interviewing, sending e-mails, and other case related research. Because of this it is best to have all documents and information that might be deemed necessary in order when meeting with a Probate Lawyer so one can reduce Probate Lawyer Fees. Probate lawyers are those who deal with the probate court system, usually after someone dies who had a will. A probate and estate lawyer can also help a person who wants to create a will or avoid probate with estate planning. Those who use a probate lawyer will have to pay a fee for this service. In other cases, the executor of the will is the person who will pay the probate lawyers. If someone dies without a will and has assets, the probate lawyer can help with that as well. The probate lawyers will go to court and work to make sure that everything is divided fairly. The estate and probate lawyer can give them advice on which is the best document for them.